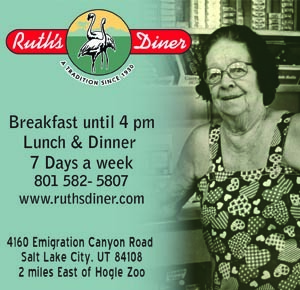 For many, it’s a symbol of Utah’s industrious, western spirit. For some, it’s a steady job, essential to supporting local and global economy. For others, it’s an eyesore on the peaks of the Oquirrh Mountains and a visible reminder of man’s ever-encroaching influence on the land. 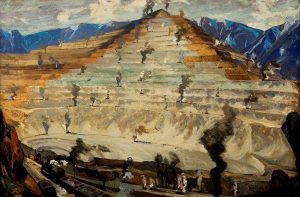 Whatever Bingham Canyon’s Kennecott Copper Mine means to you, that viewpoint is being presented and explored in an ongoing Utah Museum of Fine Arts exhibition entitled, Creation and Erasure: Art of the Bingham Canyon Mine. Some of the works include oil and canvas paintings by Norwegian-born landscape artist, Jonas Lie, depicting the mine in 1917 as an awe-inspiring testament to man’s growing industrial prowess. Other works include William Rittase‘s documentary photographs depicting everyday life at the mine in the 1940’s—many of which have never been publicly viewed until now. More contemporary pieces include striking photographs by Edward Burtynsky and Michael Light, who play with the scale, contrast, and perspective of these massive landscapes, and David Maisel, whose more abstract images capture how mankind inadvertently creates art out of the landscape through its manipulation of nature. Other photographs depict satellite images, and research documentation following the recent catastrophic slide in 2013—the largest non-volcanic landslide in the history of North America. 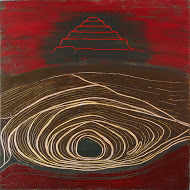 Finally, local artist, Jean Arnold, explores her personal connection to the mine through abstract imagery which couples the mine’s vital metals to the lifeblood of our society and culture. Whatever thoughts or viewpoints you may have had about Bingham Canyon Mine before entering the museum, thanks to the vision and collaboration of so many talented people in presenting this exhibition, you will hopefully walk away with a fresh perspective on what is undoubtedly an impacting and magnificent Utah icon. “Creation and Erasure: Art of the Bingham Canyon Mine” is open until September 28, 2014. 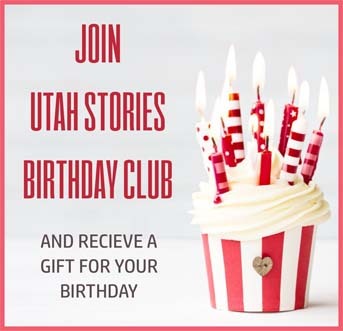 The Utah Museum of Fine Arts is located on the University of Utah campus at 410 Campus Center Drive.